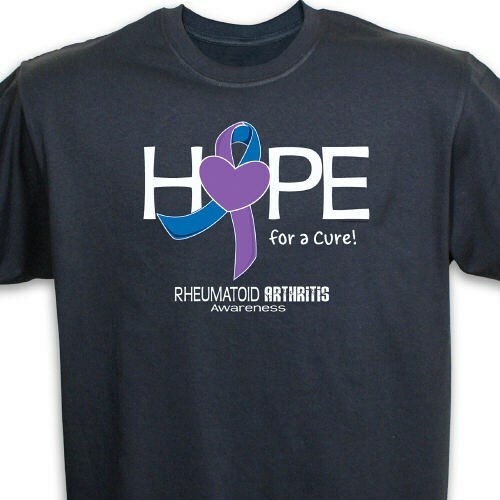 This Hope For A Cure Rheumatoid Arthritis T-Shirt is available on our premium 100% cotton T-Shirts, machine washable in youth sizes XS-L and adult sizes S-3XL. Nice shirt. I love the heart on the ribbon. I love that it says "HOPE" because that's what I have, is hope!!! Shirt is good quality and shipping time was great. The sizes are true to size.